There's something about imperfections that makes a photo really interesting. Imperfections in a photo such as obscuring a part of the lens, lens flares, or light rays can make a photo more visually interesting. They could change the mood of a photo, making the scene more angelic, or even retro through the use of lens flaring or rainbow effect. One way to introduce these photo imperfections is through the use of a glass prism. The glass prism can have several effects, depending on how you're holding it to the lens. You can use it to split white light into a rainbow of colours. The prism, can be used as a sort of mirror to reflect other parts of the scene into the frame. Finally, it can be used like any sort of glass - to obscure the lens and add a nice soft blur. Here's a link to the Glass Prism I use on my photo shoots. Below are some examples of ways I've used a glass prism in my photography. Don't just stop at glass prisms, you can take it further by obscuring the lens with other items. Whether it be a piece of acrylic, metal, cloth, or even your finger - there are so many different effects you can create. Experiment yourself and find out what technique or material compliments your style of photography best. 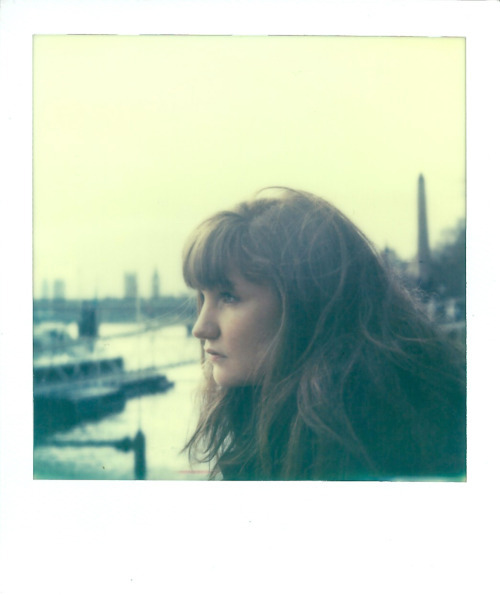 Polaroids are the coolest, hippest thing at the moment, right? Instant cameras were designed to capture the most memorable moments and to produce a photograph instantly to share with your friends or family. From the original Polaroid Land series to the modern Fuji Instax series, the same principle still stands, although the price tag might be different. The biggest change in the Instant Photography industry occurred when Polaroid filed for bankruptcy in 2008 and discontinued its production of instant cameras and film. Polaroid shut down its factories around the world, and the original Polaroid film formula was lost. In an attempt to recreate the Polaroid formula, The Impossible Project (now Polaroid Originals) launched a Kickstarter campaign in 2011 - to fund their research and development of the original Polaroid SX-70 and SX-600 film, and to purchase an old Polaroid factory. They have yet to perfect the film, but it’s pretty much 80% near perfect at the moment - some may argue differently. You’re probably thinking, why not pick up an original Polaroid fold camera like the SX-70 or the SX-600 and use this new near perfect Polaroid Original's film? Well, the price of film from Polaroid Originals is considerably more expensive than to Polaroid’s original film. The price of one pack of Polaroid Originals film is around £17.00 for 8 shots, whereas the original Polaroid film contained 10 shots and was much cheaper. The increase in price is due to The Impossible Project only having one factory which is producing the chemicals, the negatives, etc - whereas Polaroid had numerous factories around the world, each with a specific production purpose. That’s enough about the history and the pricing of the film. Polaroid Originals offers a wide range of film skins and accessories which Polaroid did not originally offer. Polaroid Originals offers skins such as; circular frames, animal prints, colour frames, floral frames ( Frangipani, and Fuschia), and even a bird frames. You can also pick up a wide range of accessories for your Polaroid cameras such as a flash bar with colour gels, and a set of lenses - that contains a wide range of lenses from fish eye, close up, ND, etc. Although Polaroid Original's formula is nearly perfect, it takes up to 30 minutes to develop, and the results from each batch still varies. Bare this in mind, the results won’t be picture/colour perfect photos, but photos with a slight blue-ish or yellow-ish tone, sometimes with undeveloped streaks. It will take a few packs of film for you to get used to producing consistent results. Is the wide range of accessories and film available worth the up-marketed price of an almost perfect film? Fujifilm has released their own version of instant cameras and film. They have a wide range of camera and film available that rivals Polaroid Original’s line up. Currently there’s the Fujifilm Instax Mini 8 (a basic instant camera), the Fujifilm Instax Mini 90 (similar to the Mini 8 but with more functions such as; a double exposure mode, macro mode, a self timer, and the ability to turn off flash which the Mini 8 lacked), and the Fujifilm Instax Wide 300 (a much larger camera that shoots wide film). Fuji’s film formula is perfect, it captures colours and tones truly as seen. The film is considerably inexpensive compared to The Polaroid Original's - the cheapest I found the Fuji Instax Mini film was £13 for 20 shots on Amazon. There’s a wide range of film skins available like; Candy Pop, Comic, Dalmatian, Rainbow, Shiny Star, Stained Glass, and Wedding. The main downside I’ve come across with Fuji’s Instax is the size of the film, they’re very small - sort of like a business card size. They’re great if it’s for something personal, but for a professional project, the quality isn’t there. Lomography’s answer to the Fujifilm Instax is… an instant camera which also uses Fujifilm’s Instax film. To be fair, the Lomo’Instant does have new features over the Fujifilm Instax series, the ability to attach accessories such as flash gels, or to mount several lenses like; a wide angle lens (which is built in), a portrait lens, a close up lens and a fisheye lens. The Lomo’Instant also has multiple shooting modes, the ability to control flash, long exposure mode, and a ‘creative mode’. Lomo’Instant could be considered an upgrade from the Fujifilm Instax series with the ability to mount different lenses and attach flash gels. The only problem I’ve had with it, is the bulkiness. It’s a slightly weird shape and a bit too big for me to carry around or even bring to a party. Sadly, the cost of one of these cameras is around £119 (Inc lens set, because without it - you might as well get an Instax) or even more for a different camera skin. Polaroid (yes, the actual company Polaroid) announced their new Polaroid Snap instant camera. The difference between the Polaroid Snap camera compared to Fujifilm’s and the old Polaroid cameras, is the Zero Ink printing technology. Fujifilm and Polaroid Originals films uses chemicals in their film which raises the cost the film, but the Zero Ink paper is much more inexpensive in comparison. The quality of the images produced through the Zero Ink printing technology is a lot higher than Fujifilm’s Instax, and Polaroid Originals film (arguably, because different batches of film produce different results). However - there’s always a however, you have to be expecting it by now - there’s no traditional white border around the photos. 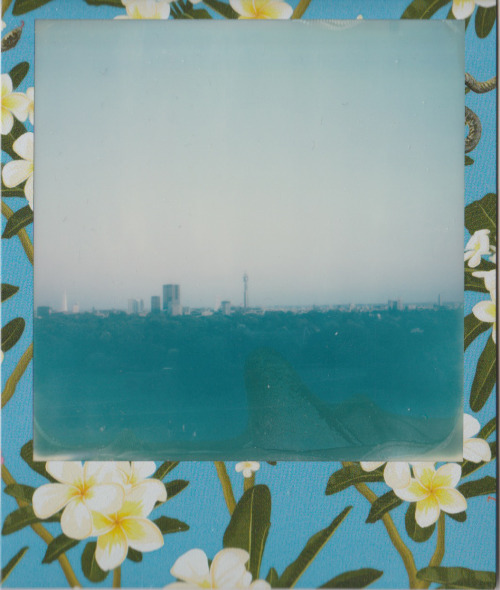 How will people differentiate it as a Polaroid instead of a really small high quality print? The inner hipster inside of me is going batshit crazy. Would the high quality make up for the lack of nostalgia of having an authentic Polaroid picture? - I use the term nostalgia very loosely here, as I was born in ‘95 and I can’t really say I grew up with Polaroid. This is where writers usually give a very anti-climatic answer to what product you should get. They’re all good instant cameras, built for different purposes, with different results. I will give some useful advice (for once in this article…). If you’re planning to get a camera to shoot Fujifilm Instax film, get the Fujifilm Instax Mini 90. I’m going with the Instax Mini 90 because I have the camera and I’m biased. The Mini 90 is very rugged, I’ve dropped mine from head height 4 or 5 times, and it still works fine. It has many more functions and modes that the Mini 8 does not have. It’s cheaper (even when bought with film), and it isn’t as bulky as the Lomo’Instant. If you’re set on using Polaroid Original's film because you obviously go on holiday in St. Barts, drink Grey Goose as casually as I drink tap water, and can afford £16 for 8 shots, get the Polaroid SX-600. Why? The camera is so so so much cheaper than the SX-70 even when you purchase a refurbished version. I bought the SX-70 for around £260, whereas the SX-600 is around £90. The film speed of the SX-600 is around ISO 600, and the film speed for the SX-70 is ISO 100 - which limits where you can shoot with the SX-70. Trust me, it will be impossible (pun intended) to photograph your hip roof garden parties with just the SX-70 on its own. Also, there’s so much more variety of film available for it. With a larger variety of skins (a previous one being a black and yellow film collab with Third Man Records), and a larger variety of cameras available (seriously, there’s so many types of SX-600 cameras, even a Barbie one!). If you have any questions, leave a comment below. Also, let me know your thoughts and experiences with these cameras. Some photographers believe that pressing the shutter is just half of the photo, the other half comes from retouching. I'm one of those people. Even if I'm shooting for an event or passing the photos on to be used for digital manipulations, I like to retouch the photos to a standard I'm happy with. Never give away your RAWs (for free). I'm going to be making a post about how I retouch my photos and how I get the colours at a later date. This post is just a baseline guide for retouching. I'll be breaking down key software, and terminology you should know. Lightroom and Photoshop are included in the Adobe CC Photography package for £9.98/monthly or £119.21/yearly. 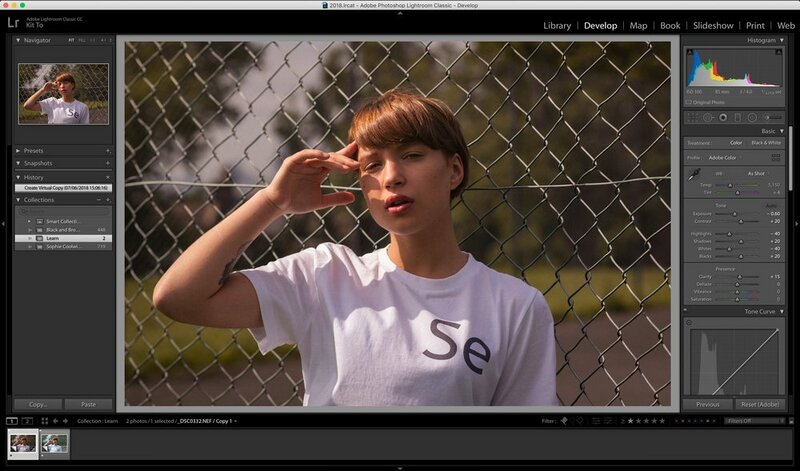 This post is focussed on retouching photographs through Adobe Lightroom. Depending on your camera settings, when you take a photograph the camera will decide the white balance of the photo. When shooting with different types of lights or weather the white balance will vary. For example, shooting indoors with Tungsten lights the photos will come out warmer. To ensure correct white balance in this situation, you will have to make the photo cooler by dragging the slider to the left (to a lower kelvin), or use some of Adobe Lightroom's built-in Presets. The tint is similar to the temp setting, it enables you to tweak the colours even more by making the photo more green or purple. To ensure the correct white balance easily, I recommend shooting with a grey card, then using the eye dropper tool and clicking on an area of the photo that's white or grey. If you don't have a grey card, you can photograph something that is white (e.g. a t-shirt) and use the eye dropper on that instead. The exposure slider artificially changes the exposure to the photo. Similar to how your camera shoots, it will let you do fine adjustments by exposure stops. This tool is limited by your camera's capabilities and the file format. For example if I take a photo I've shot on my phone in JPEG format and increase the exposure, the quality won't be as great - artifacts will appear, and highlights will be blown out. As opposed to a RAW file from the D850, I will be able to increase or lower the exposure a lot more due to the manipulability of a RAW file and the dynamic range of the camera. Keep this in mind when shooting. Think about how much detail you can recover and adjust your shooting style to that. The contrast slider determines how bright the bright areas of your photo are, and the shadows of the shadow areas. If you increase the contrast, it will make the bright areas brighter, and dark areas darker. If you decrease the contrast it makes the brighter areas darker, and the darker areas brighter - thus removing contrast. Lowering the contrast can be useful sometimes, for example if you're shooting with very harsh shadows, but bare in mind how far you go because you can end up with a washed out photo or you'll be losing a lot of detail. This slider is similar to the contrast slider. The highlights & whites let you tweak the bright areas respectively, in a much more fine way. For example, you can bring back detail from the brightest areas of the photo by moving the highlight slider to the left. The whites slider sets the ‘white point’ - the true whites in a photo. Like the opposite of the highlights & whites sliders. You can bring back detail from the darkest areas of the photo by moving the shadows slider to the left. The blacks slider sets the ‘black point’ - the true blacks in a photo. "This tool mostly affects the transition between light and dark portions of the image (makes it less or more sudden, defined) and visibly alters the micro-contrast of the photograph. If changed extremely, it can also have a slight effect on the overall contrast of the image and shift the color somewhat. When set to a high setting it will make any shapes or forms more defined, starting with small, like skin imperfections, and ending with much bigger ones, like highlights in the background (the circles of bokeh)." The vibrance slider affects the colours in the photo. By moving the slider to the right, it will increase the vibrancy of the colours. The vibrance slider mainly affects muted colours, and not so much the saturated colours in the photo. If you were to move it all the way to the right, you may end up seeing colours that you didn't notice before. For example a white t-shirt might have a tiny shade of blue due to light reflecting from a wall. The vibrant colours from this slider is also affected by the white balance settings, so keep this in mind. The saturation slider is fairly similar to the vibrance slider. Except it affects all the colours in the photo, not just the muted colours. Be careful not to overdo the saturation slider, else you'll end up with unrealistic colours, or extremely orange subjects. All in all, these sliders might seem very basic, but every photographer should know or be using them. I recommend finding a photograph you love, and play about with the sliders (white balance, whites/blacks, etc) and try and replicate the effect. The more you use these tools, the more possibilities you can create with your photos. Buying a camera is a luxury. You should do as much research as you can before your purchase. That said, you should not be worrying yourself if your camera can not shoot 4K or 12 fps burst. Your first camera should be something that feels comfortable in the hands, and reliable. Remember, this camera is for helping your learn and discover how you shoot. I got into Photography through a high school project, and I started taking pictures of everything with my phone. It didn't have the best camera, but it helped me discover what I was passionate shooting, and develop basic framing techniques. My first camera was the Nikon D3100 - an entry level DSLR from Nikon. I shot a lot with that little guy and its kit lens. It had good 1080p video quality for its time, and the 18-55mm had good range for the things I was shooting. Looking back, the only downside was the aperture, but it didn't affect me then. The D3400 is an updated version of the entry level I previously used. It's available with two lens options; 18-55mm f/3.5-5.6 and 18-105mm f/3.5-5.6. Both lenses have vibration reduction (VR) modes which is handy for shooting video handheld, but should be disabled when shooting photos on a tripod. The D3400 is also equipped with the ability to transfer photos to phone via Bluetooth. The 2000D is Canon's equivalent to the Nikon D3400. The lens is similar in image quality to Nikon's equivalent, and also includes an image stabiliser - which reduces vibrations in video. The 2000D comes with a wireless feature that allows you to transfer photos from camera to phone through Canon's App. Both cameras are more than suitable for someone starting to learn photography. They're both equipped with 24 megapixels and full 1080p video. Buying used cameras is also another great alternative. You can usually find used entry level cameras for a fraction of the original price. It might even be worth getting an older model, e.g. D3300 instead of D3400 just to save money - which could be used to purchase a much needed lens later on. Below is a list I've compiled for a basic camera setup focussing on primes. This list is not intended to be a shopping list for someone to get all at once. I believe most photographers will end up with most of these lenses by a year or two into shooting. The list is a guideline on what lenses will cover your needs - you can still create art with a beaten up, weathered 18-55 Kit Lens. Canon has better price to quality ratio for EF-S prime lenses (for cropped sensors). The Canon 50mm f/1.8 is an incredible lens for sharp portraits. At a wide aperture of f/1.8, it performs well in low light. The Yongnuo is a third party version of Canon's, it has been seen to perform just as well at half the price. Nikon's lenses are far pricier in comparison to Canon's equivalent. The 50mm and 85mm f/1.8 I've recommended are for FX bodies (full frame sensor), which means they'll be around 75mm and 125mm on a Nikon DX body (crop sensor). Bear this in mind, when you upgrade your camera body down the line these lenses will still be usable. The 35mm f/1.8G is a DX lens, it will perform great as a street photography lens - or just an every day lens. If you have any questions, feel free to leave them in the comments below and I'll get back to you as soon as possible. Learn retouching and photography techniques, and expand your experience of fashion and portraiture photography.